Knaus Sausage House offers a variety of different cuts and services for beef and hogs. We have available to order quarter or half beef and whole hogs. Each beef and hog are cut to your family’s desire. All beef and aged ten days before cutting for maximum tenderness. All beef and hogs that we sell are locally raised. 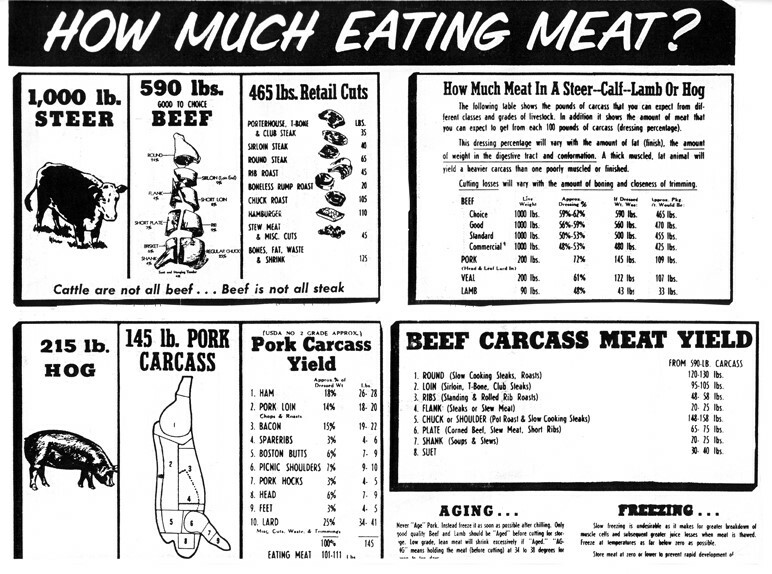 The documents below are a yield chart to describe the different yields of beef and hogs and cutting instructions chart to help you determine the best cut for your family’s needs.